Create your own unique perfurme. 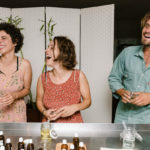 You are invited to participate in a perfume making workshop, using the same odourants as the major perfume houses to create you own signature scent. 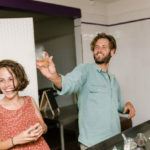 Mix and match the odourants, such as musk, neroli, jasmine and others, until you come up with a perfume that is an extension of you. 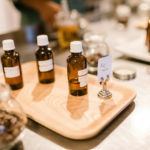 Take home 2X 30ml bottles of perfume [valued at $120 each]. 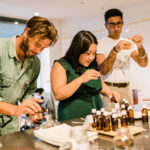 My Scent perfume making workshops are $125 per person. To book, please simply click on the Classbento link below phone Joseph on 0412 865 001, send an email or use our enquiry form. 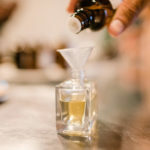 The My Scent workshop starts with a brief history of perfume and its evolution throughout the ages, our sense of smell and how smell identification is very closely associated with emotions and memory. 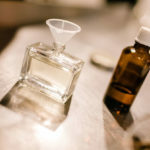 We will discuss how the perfume is layered using odourants that evaporate at different rate. The top note is smelt when you first apply the perfume and is made up of highly volatile odourants. Blend these top note odourants until you come up with a fragrance that is close to your soul. The next stage is to mix the heart note. You mix these odourants until you feel that the perfume is in tune with your own heart. The base note of the perfume is what lasts. Woody, musk and amber are predominant odourants for this note. 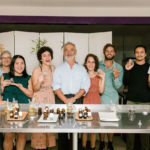 Kimberley Chocolates offers fun and informative workshops in Sydney run by owner and chocolatier Joseph Atallah.